Your home should be a place where you can feel comfortable and safe. However, many families and individuals suffer from poor indoor air quality, as most buildings today are designed to restrict indoor/outdoor air flow, which can cause air pollutant to accumulate inside be distributed throughout the entire house. When you breathe in these pollutants, it can be harmful for health which is why itâ€™s very important to have a high efficiency HVAC filter like the filters from Aprilaire. 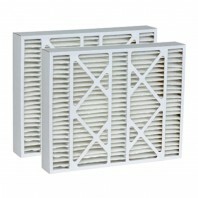 Discount Filter Store carries Aprilaire filters in a variety of sizes and four different MERV ratings, 8, 11, 12, and 15. If youâ€™re not sure which filter you need, contact us or get in touch with an expert at 1-800-277-3458. Weâ€™re proud to offer Tier1 air filters from industry leading brands like Carrier, Honeywell, 3M and Lennox.